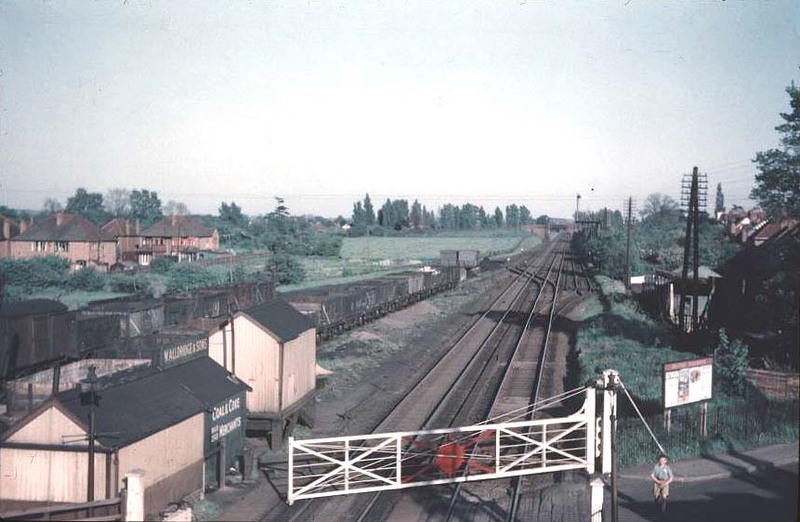 Looking towards Coventry from the footbridge with Marston Green goods yard on the up side and the refuge siding on the down side. As can be seen, the majority of the open wagons are five plank mineral wagons used to transport coal and coke. The 'maroon and cream structures are railway owned whilst the green hut has a sign for, 'W Alldridge & Sons - Coal and Coke merchants'.